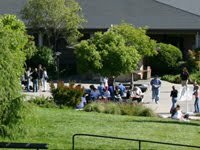 NOTE: To access your Cabrillo email from home, you must have internet access from home. If you need to gain internet access, contact an Internet Service Provider (ISP) to find out their rates and the availability of their service in your area. Configure an internet email client (such as Thunderbird) to retrieve your mail from our mail server. TIP: Your email client will allow you to retrieve mail from multiple locations or accounts. Also, some on-line email providers (e.g., Google) allow you to use an email client like Thunderbird to retrieve your email.